The crown lengthening technique is recommended to reshape excessive gum and bone tissue to expose more of the natural tooth. Before placing a crown, your general dentist must first prepare your tooth. To accept a crown, there must be enough tooth structure above the gum line. When your tooth is worn, fractured, or decayed below the gum line, we use crown lengthening to adjust the gum and bone level to expose more of the healthy tooth. 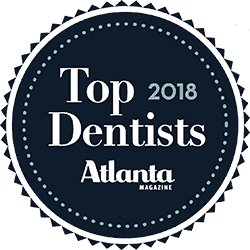 This procedure provides more tooth structure to securely hold your new crown, and it prevents the crown from being placed below the gum line where it might damage gum tissue and bone by causing irritation. This can be done to one or more teeth to expose a natural, broader smile. Crown lengthening repositions the gum and bone level to expose more of the healthy tooth so it can be properly be restored. The smile makeover will give you a more youthful smile. If you’d like to find out how crown lengthening might help your smile, call our office or complete our request an appointment form online.